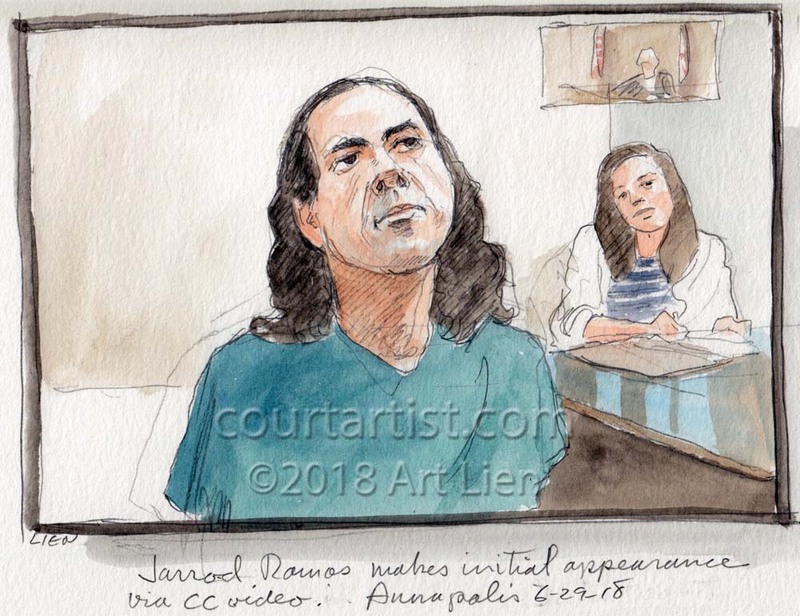 Jarrod Ramos had his first appearance before a judge via CC TV after murdering five people with a shotgun at the offices of the Capital Gazette, a local Annapolis newspaper. Ramos, who appeared to be handcuffed, looked upward the entire time, occasionally blinking and tilting his head from one side to the other. He said nothing. 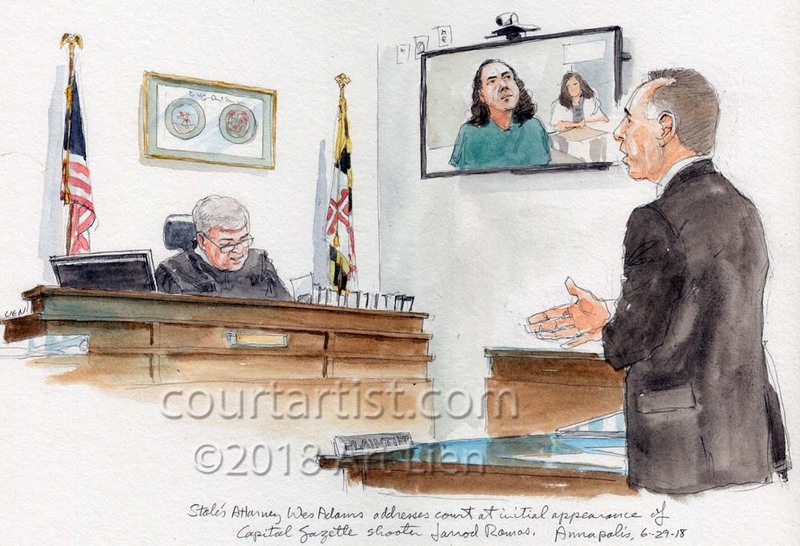 Anne Arundel County State Attorney Wes Adams revealed that Ramos had blocked one of the exits before starting his rampage. Judge Thomas J. Pryal ordered Ramos held without bail on the five charges of first degree murder.